Note: This is the final piece in our blog series on consumer perceptions regarding field service. The first two can be found here and here. To learn more, join our upcoming summary webinar where we talk about the key research findings. Drum Roll Please. Well, not to be too dramatic, but we’ve set the stage for the final results from our field service performance appraisal projects. Remember, US consumers are the appraisers. 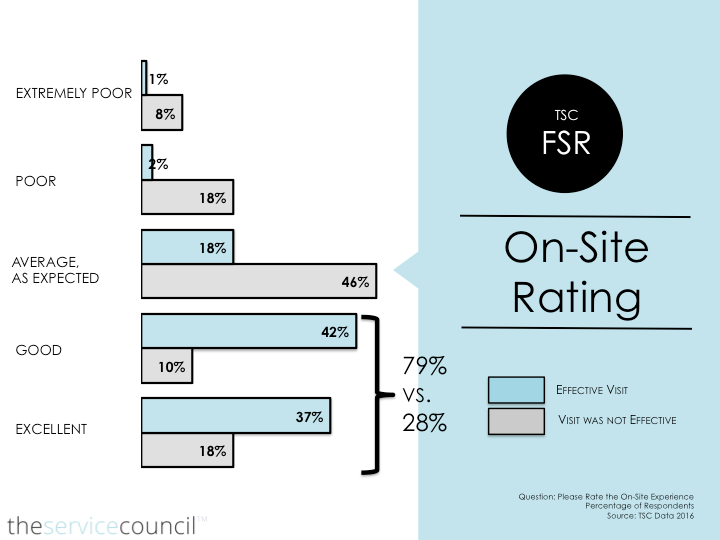 In determining final scores, we asked consumers to rate their most recent field service interactions. These interactions took place in 2015 as the surveying was done in early 2016. We used a simple 1-5 scale across all areas of evaluation, where 1= extremely poor and 5= excellent. For the pre-event experience, 72% of consumers provided a ‘good’ or ‘excellent’ rating. The remaining 28% indicated that the pre-event experience was ‘poor’ or ‘as expected’. Time of technician arrival was indicated to be the major determining factor of the pre-event rating. Time to receive the field service appointment and the overall length and convenience of the service appointment were also deemed to be important factors in the determination of a pre-event rating. From an overall point-of-view, three-fourths of the 650 people polled evaluated their field service experience to be ‘good’ or ‘excellent’. Most of the remaining population believed that the experience was ‘as expected’. Effectiveness of field visit (did the situation get resolved). This had an extremely significant impact on overall ratings. In the case of successful visits, 79% of respondents rated their experience as ‘good’ or ‘excellent’. Only 28% did so when the field visit was unsuccessful. Cost of field service visit. In the above areas of evaluation, ‘value for money’ received the lowest scores. However, respondents weren’t only concerned with the cost of field service visits, they were also concerned with the communication of that cost. For instance, those consumers that received a cost estimate prior to their service visit were a lot more satisfied with their overall field service experience when compared to those that did not receive an estimate. And finally, from a post-event point-of-view, most consumers were fairly ambivalent with regards to the standard follow-up survey process. That said, those that were engaged additionally were much more satisfied with their field service experience. This additional engagement could have been a simple follow up wherein the customer was asked how his or her purchase was working out. Interestingly, those with an additional follow up were also more likely to recommend their field service businesses in the case of a positive experience. We’re extremely excited to chat about some of these findings on the Field Service Consumer Perceptions webinar, taking place with the support of our partner ServicePower. Do join us or access it on-demand if you are unable to listen live. In summary, field service gets a pretty good report card from US consumers. That said, there are significant untapped opportunities to improve the overall customer experience. Most of these opportunities can be realized with small changes to process. That said, it takes a cultural recognition of the importance of customer experience to initiate these changes. In our opinion, it can no longer just be about effectiveness. Effectiveness is expected. Why send someone out when they can’t fix the problem in the first place? When paired with effectiveness, an outstanding field service experience is a major differentiating factor for field service organizations. 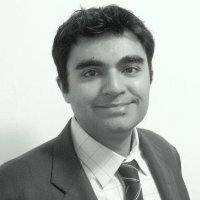 Sumair Dutta is the Chief Customer Officer for The Service Council™ (TSC). In his role at TSC, Sumair is responsible for new member acquisition, member engagement, community expansion, as well as the development and expansion of TSC’s Smarter Services-oriented research agenda and portfolio.